Under ‘concrete’ keyword we are now discussing about application, suitability and durability of glass as both fine aggregate, coarse aggregates or as cement replacement. Increasing demands of various goods and also due to economic development, with the increment of productions, there is also increasing waste materials. In these circumstances even if there have no interest of economy, for the sake of environment, we are thinking about recycled materials in construction industry. At first we will have some idea about lightweight aggregate in brief. We have discussed some posts about light weight aggregates, and provided some relevant products available in market. Light weight aggregates may be either natural or artificial materials and characteristics dry density of particles should be less than 125 lb/ft3 (pcf). 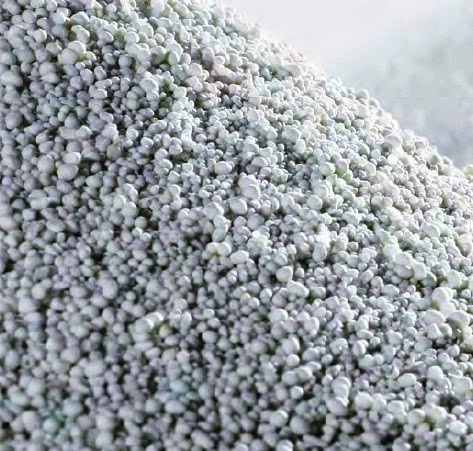 Now can glass be used as lightweight aggregate? The answer is bulk density of crushed glass is below 125 lb/ft3, the threshold we provided above. It is 115 lb/ft3 (11250 kg/m3 ). This material is using in concrete construction for decades as light weight aggregate. The aggregates were used in the form of expanded glass pellet. We are using this concrete for many years, but of low strength and low density too. 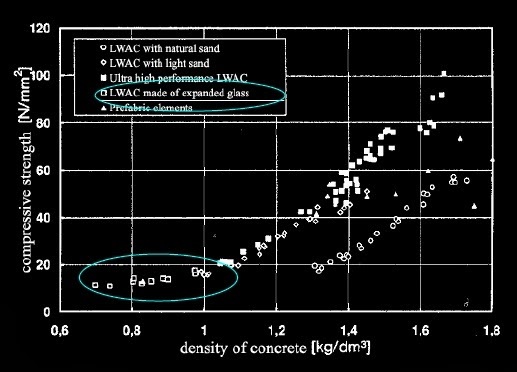 Here we are providing a plot that was made considering different light weight aggregates, which provides a relation between compressive strength of concrete with its density. We have only few data about expanded glass pellet that can be used in concrete for regular or high strength concrete. We have already known about that presence of glass produce susceptibility to produce alkali aggregate reactions. Now-a-days wide verities of expanded glass lightweight aggregates are available in market. This mixture of materials are pelletized heating at 8500. Concrete produce with such aggregates can yield compressive strength up to 17.3Mpa when cured with steam; this measured after 28 days of curing.